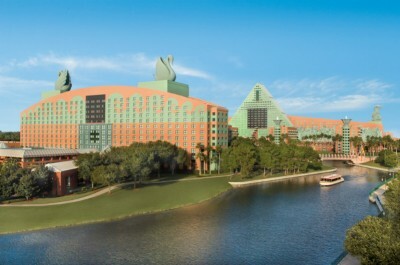 The Walt Disney World Swan and Dolphin Hotel is set to become the first convention hotel in Florida to offer guests the newest Wi-Fi technology. Called “high density Wi-Fi” the technology was pioneered at the Swan and Dolphin by the XpoNet, an event Internet provider and hotel partner. The Swan and Dolphin has installed the system after successful tests. Groups of all sizes will be able to utilize the new technology when staying at the Swan and Dolphin. The technology can provide groups of more than 15,000 attendees with fast and reliable Internet service. They are not Disney owned, so why do they keep saying Disney Swan and Dolphin? I get it they’re on the property and maybe that’s why. My big beef is the Wi-Fi is TERRIBLE around DISNEY PARKS AND REAL RESORTS so I feel they need to start there. Not on property that is not theirs. And I don’t want to hear about they just spent billions on star wars, they have plenty of money to refurbish the Wi-Fi around the parks and property. Go ahead and bash me, I’m ready.